The diphtheria/tetanus booster vaccination was safe in patients with rheumatic diseases. 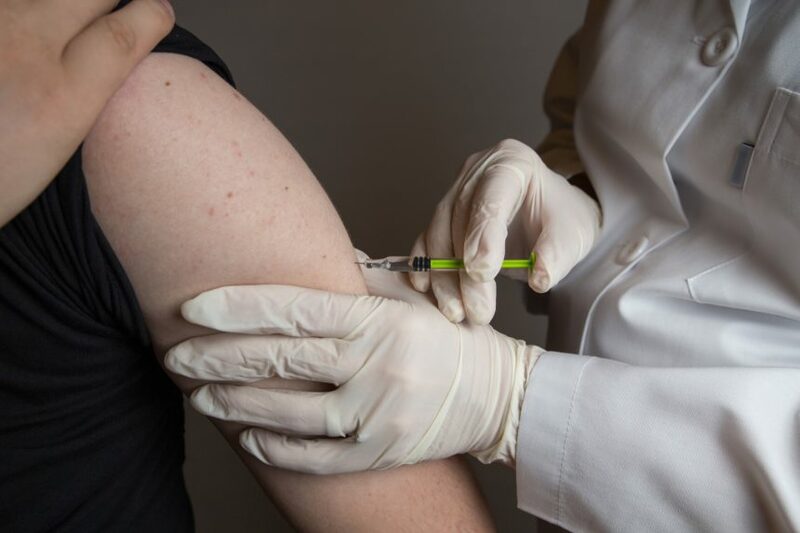 The diphtheria/tetanus vaccine booster has demonstrated safety among 3 cohorts of individuals with rheumatic diseases, according to a study recently published in Rheumatology. Data also show that the tetanus vaccination produced more of an immune response compared with the diphtheria component, and that negative vaccine responses were primarily affected by medications, including rituximab and methotrexate. This multicenter, prospective cohort study included 253 healthy controls and 284 individuals with rheumatic diseases, 131 of whom had rheumatoid arthritis, 114 of whom had axial or peripheral spondyloarthritis, including psoriatic arthritis, and 39 of whom had vasculitis. The study window was January 2014 to December 2015, during which time diphtheria/tetanus vaccinations were given in accordance with Swiss vaccination recommendations, and blood samples were taken (preceding vaccination and at the 1- and 3-month marks). The definition of seroprotection was immunoglobulin G ≥0.1 IU/mL, and long-term protection was defined as immunoglobulin G ≥1.0 IU/mL. ELISA was used to measure concentrations of antibodies against antigens. The 2 groups were compared for immunogenicity, with multivariate analysis performed using a mixed model. Multiple imputation was used to account for missing data. Immunosuppressive or immunomodulatory medications were used by 89% of participants. At the 3-month mark, 98% of those with rheumatoid arthritis and 100% of healthy controls had achieved tetanus protection, while 73% and 84% had achieved diphtheria protection, respectively. Immune responses were significantly greater among healthy controls and those with peripheral spondyloarthritis, including psoriatic arthritis than among those with vasculitis and rheumatoid arthritis (rheumatism vs healthy controls at 1 month, P =.008; vasculitis vs healthy controls at 1 month, P =.015). Through multivariate analysis, rituximab proved to diminish tetanus immunogenicity, and methotrexate diminished diphtheria antibody responses. There were no serious adverse events related to vaccines. Limitations to this study include a small sample size of patients with vasculitis and those receiving rituximab, a relatively young control group, and the prevalence of multi-drug therapies among participants.